Over the years, we’ve all heard many different versions of Crazy. Patsy Cline shared her version of Crazy in 1961. Aerosmith shared their version of Crazy with a new generation in 1994. Just a decade ago, Billy Currington was more specific, telling us how People are Crazy in 2009. Even Paul Simon, who was first crazy in 1975, is Still Crazy After All These Years. But what about California LTC Insurance in 2019? Over the last five years, we have been informing you – the agent, broker, financial advisor and even the LTC Insurance carriers – of the many others efforts to revitalize the State of California’s middle-class market for individual LTC Insurance. Daily, we shake our heads trying to figure out what all of us are thinking. Has the entire LTC Insurance industry gone Crazy too? 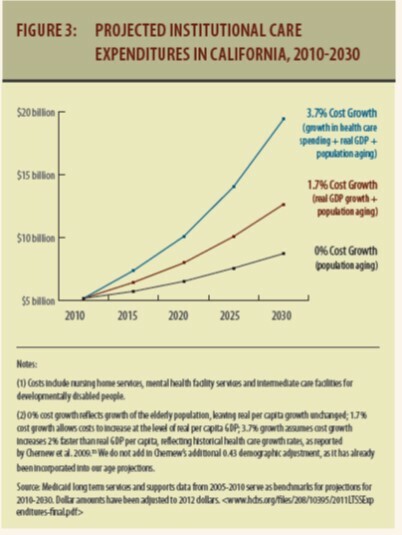 10 year projection unprecedented size and chronic illness of California’s boomers will overwhelm the state’s current capacity to meet growing long-term care needs, September 2013. Between 2013 and 2023 (hello, its 2019!) 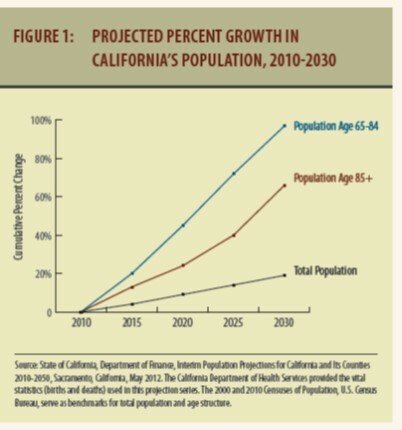 California’s elderly population is projected to expand by over 44% in size (see figure 1 below) growing from approximately 4.8 million to nearly 6.9 million individuals. In the previous decade (2000-2018), number of people age 65 and older group only 18%. 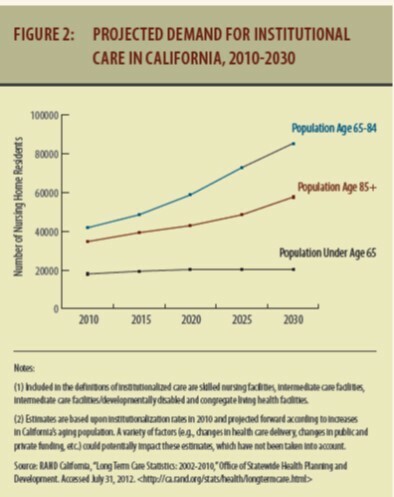 Five years later, the Los Angeles times, October 12, 2018 “California’s senior population is growing faster than any other age group.” How the next governor response is crucial. 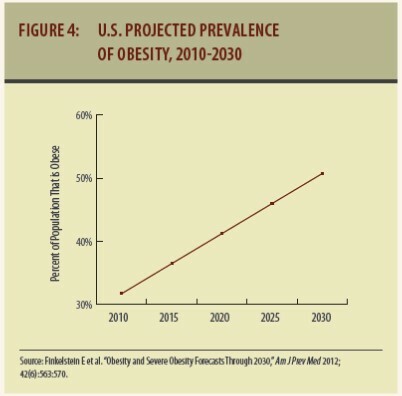 California’s over 65 population is expected to be 87% higher in 2030 than in 2012. An increase of more than 4 million people. The first baby boomers began hitting retirement age in 2011 and the youngest will turn 65 in 2029. So let’s connect the dots… A lot of folks are currently age 50- 65 currently in this state right now! So what am I saying here, the market for long-term care insurance sales for individuals between age 50-65 (Range of affordable LTCI insurance sales) is huge! By many measures, California is not ready to to meet the demand for long-term care. Just under 2% of residents are insured for it, according to the state Department of Insurance. The 2014 poll found that just three in 10 Californians over age 40 felt very confident about their ability to pay for future care. Nancy McPherson, California state director for AARP, said long-term care is the number one issue for the Retiree Advocacy Group . “It’s not enough to have service delivery”, McPherson said, “ you need to have a coordinated system, and you need to have means for middle – income Californians to get the support they need and the ability to pay for it. “Though wealthy Californians can rely on Long-Term Care Insurance or ample savings and the poorest can qualify for safety – net programs, the middle class is especially vulnerable when it comes to paying for care. The out -of -pocket costs can be staggering, and Medicare, the federal health care program for seniors, does not cover long-term care. See, in spite of all the negative industry press regarding LTCI the state, AARP and the new governor are beginning to figure this all out. That’s the good! However, still seems to be a disconnect with their California consumer and sales distribution! When We’re Bad, We’re Really Bad! As many of you already know, a major partnership carrier has begun to distribute its partnership “ in force” rate increase among its California insured. That means, as the Partnership regulations those rate increases will be distributed over a (3) year period of equal increments (max rate increase approved of 40% spread over three years = Year 1; 13 1/3, Year 2; 13 1/3 and Year 3; 13 1/3 for a total of 40% over 3 years). This is unique to the California partnership and considering that the product has been sold since 1994-2019 and a 40% increase for policies sold over 15 years ago (2.5% every year rate increase is not bad) However, all that aside no matter what the percentage increase approved is the insured must be given the choice to reduce coverage in order to reduce the impact of the Rate Increase. Here comes the Really bad, as the new regulations of the partnership went into effect on January 1 of 2019, not one Partnership carrier has filed for the new changes (we are talking, Gen worth, New York life, Met Life, John Hancock, Transamerica; who still have policies on the books) which means their ability to “Step Down” now has limitations and those limitations may have a significant impact on the choices your client and “You” make when recommending the step down options made available to them by the company! This will become a big issue, why, because it already is! I am getting a dozen calls a week from agents, wholesalers, clients of agents, who have been referred to me of their options and what should the they consider and why? Special note: You may have other ways to reduce her benefits than there are shown above; contact the customer service team for additional quotes. Should I drop my Daily Benefit, if so to what level and why and what would it cover? Inflation protection; can I reduce it, drop it, and how will that impact my current accumulated amount? All of these and more have been asked during the last 6- months of the Partnership task force meeting and have become a “Critical Issue” for the Partnership, the state and the Nation’s foremost consumer advocate. Two years ago I was asked by an investment advisor if they need to maintain their Partnership Certification status every two years if the company they could offer was no longer offering the product or due to a rating drop they are no longer able to offer that product. I quickly called the California Partnership staff back then and their response was /is “One Partnership Certified. Always Partnership Certified”. However the conversation went a little deeper and two issues came to the forefront, 1) further rate increases on existing and or new product offerings and I even brought up the third issue “Replacements “. A long- story short, the simple answer is “yes” you must maintain your partnership certification status if you have current clients that are Partnership insured or if you are ever confronted with the conversation regarding long-term care insurance and what products are available, or if a conversation involves the discussion of stepping down, stepping up and or converting or replacing existing coverage and or even “ stacking” of policies. What carriers, marketing organizations that brokerage LTCI products (MGA’s , BGA’s, SGA’s, PPGA’s, TPA’s) don’t get or understand that you, the producer, the investment advisor, the broker and or agent, whether you’re selling Hybrids, Traditional, Multi-Lives and or Partnership and or just simply advising a client on whether LTC I is something that they should consider… Should be “certified”! We here at Senior Insurance Training Services have been working on a series of documents that take in consideration all the above issues and more in anticipation of the potential “Consumer Best Interest” standards that may be implemented in the very near future in this state. In fact, due to this entire discussion with the next two rounds of Partnership Rate Increases coming quickly. The Partnership with the help of interested stakeholders are working with SITS to develop worksheets, illustrations and fact sheets all designed and backed by statistics, studies and reports that we have used over the three years of legislation to provide the task force with the empirical data that was used to support the passage of and I said that the legislation. 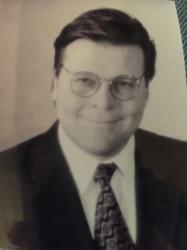 Thomas W. Orr is a Long-Term Care Insurance industry expert with more than 25 years of insurance experience. Since 1987, Tom has specialized in training insurance agents to market LTC insurance, as well as consulting with insurance companies and agencies nationally to develop LTC insurance products, agent recruiting programs and agent training programs.